March 18, 2014 bcalvanocoachingLeave a Comment on Weekly Angel Oracle Card Reading for March 17 through 23. Weekly Angel Oracle Card Reading for March 17 through 23. 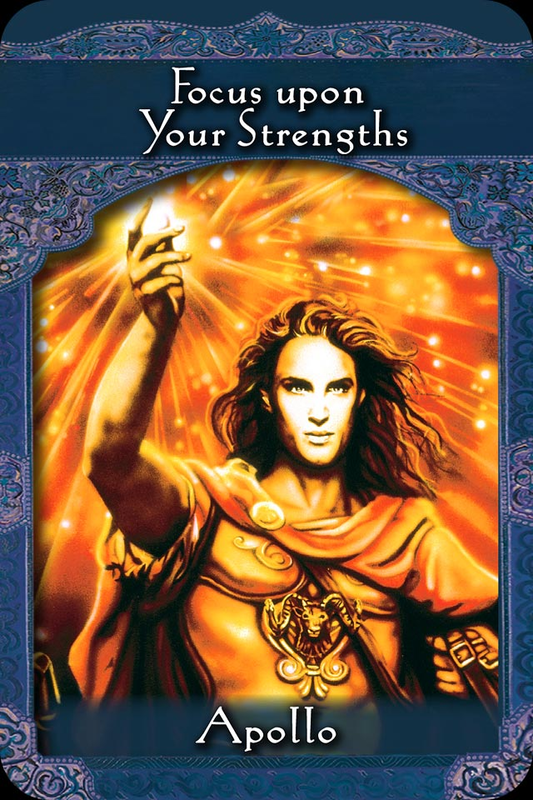 For Monday and Tuesday, we have a message from Apollo : Focus upon your strengths. Here the Greek sun God is assisting us with not only our physical but also emotional and intellectual strengths. The more you bless and acknowledge your strengths the more they grow! And it’s time to start that physical strength training program you have been putting off even if it’s with small weights. The confidence that arises from feeling physically stronger permeates to all areas of your life. Bring more compassion and love to your life by using positive affirmations. Even if you have talents that still need polishing by affirming your strengths whether it be a loving heart, communication skills, hobbies or something you exel in, you will be surprised at what doors and ideas open up for you by focusing on them! For Wednesday and Thursday we have a message form Amaterasu: Come out of the closet. Amaterasu is a Shinto Goddess from Japan. She is here to support us in bringing out into the world who we really are. If you have things you want to share but have been hesitant, now is the time. 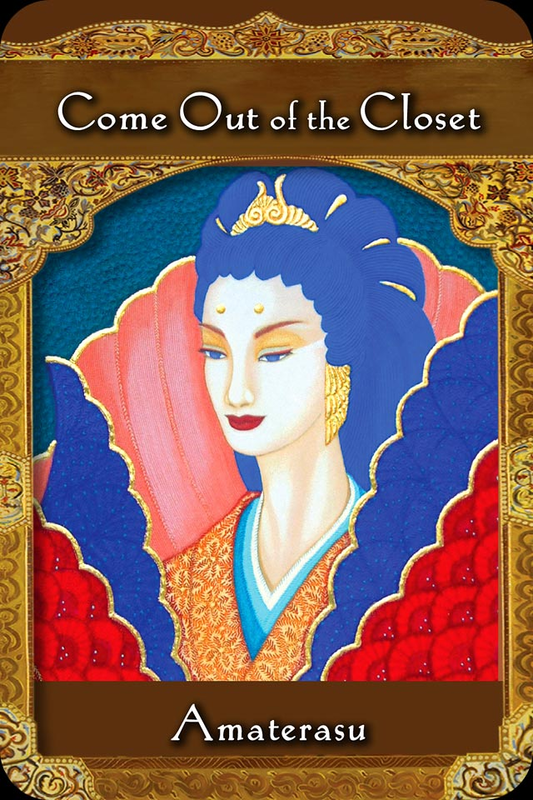 She can assist us with difficult situations and bring honor and respect with what we have to contribute. Again by bringing compassion and love to ourselves we gain strength and move forward taking actions. What uniquely special part of you have you kept from the world? What have you been unwilling to share? Ideas, thoughts, dreams, goals, stories, creations, writings, songs? Amaterasu supports us in being who we really are- our authentic selves. Amaterasu became upset when her brother the storm god was demolishing the planet, so she hid herself in a cave to protest, and the world grew cold and dark. The other gods tried everything to coax her out. Nothing worked. Until they finally put a mirror at the entrance of the cave. When Amaterasu saw her reflection bright and beautiful, she finally came out of the cave. You can call upon Amatersau to increase your self esteem and to reveal your true self to others. For Friday, Saturday and Sunday we have a message from: Ganesh: Yes. Here we have Ganesh, the elephant headed Hindu god to support us. 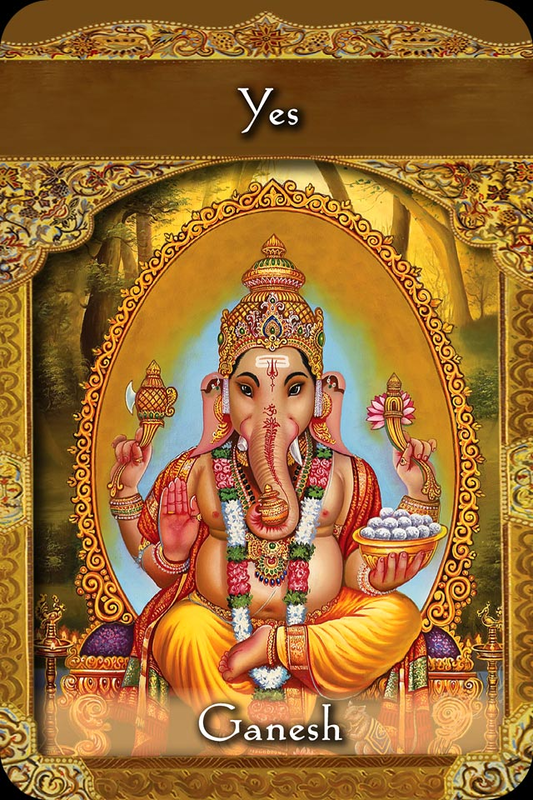 He is known as the remover of obstacles. The answer to a question that you are having is – Yes! Your wishes have been heard and obstacles have been removed. It looks like an auspicious weekend that includes the first day of spring. This message also is about being a ‘Yes’ in the world. Where you have hesitated and procrastinated before we are given the greenlight with blessings! Call upon Ganesh at the beginning of any ceremony or new project to ensure a smooth start and steady progress. He’s also a very supportive of writers and helps anyone who’s in a bind. 10 am to 5pm doing 15 & 30 minute readings. Join me where there will be a variety of fabulous vendors, speakers and exhibiters all supporting our mind, body and spirit. I am available for personal readings by phone or email, talks, angel parties, workshops and angel reading events! Previous Today’ show 3/15 rescheduled to Monday March 17 4pm EST!